Comparison of adjectives questionnaire. 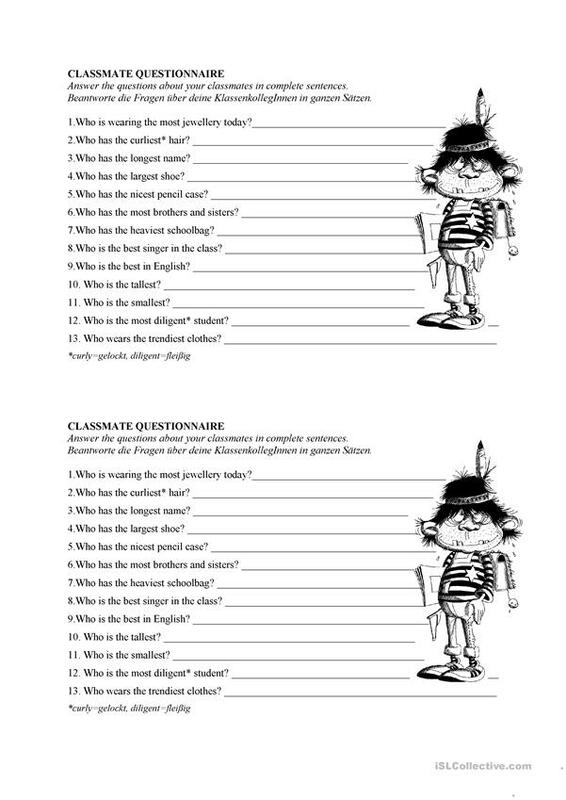 Students have to answer the questions with their classmates' information. The present downloadable handout is meant for high school students at Pre-intermediate (A2) level. It is valuable for practising Adjectives in English, and is useful for honing your class' Speaking and Writing skills. It features the theme of Describing people. melaniewieser is from/lives in Austria and has been a member of iSLCollective since 2010-11-25 18:45:16. melaniewieser last logged in on 2010-11-25 18:45:18, and has shared 1 resources on iSLCollective so far.